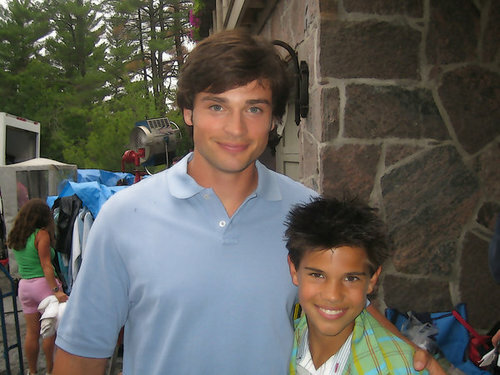 Tom & Taylor. . Wallpaper and background images in the Tom Welling club tagged: smallville clark kent welling tom taylor lautner jacob black. this is a hot pic!!!!!! just think one will be directing the other will be the love interest for bella in twilight series time really does fly. wow! tom didnt really look older!